With the same dazzling mix of emotion and idea that characterizes his novels he illuminates the art and artists who remain important to him and whose work helps us better understand the world. An astute and brilliant reader of fiction, Kundera applies these same gifts to the reading of Francis Bacon's paintings, Leos Janacek's music, the films of Federico Fellini, as well as to the novels of Philip Roth, Dostoyevsky, and Garcia Marquez, among others. He also takes up the challenge of restoring to their rightful place the work of major writers like Anatole France and Curzio Malaparte who have fallen into obscurity. 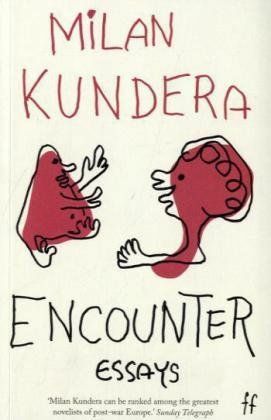 Milan Kundera's signature themes of memory and forgetting, the experience of exile, and his spirited championing of modernist art mark these essays. Art, he argues, is what we have to cleave to in the face of evil, against the expression of the darker side of human nature. Elegant, startlingly original and provocative, "Encounter" follows Kundera's essay collections, "The Art of the Novel", "Testaments Betrayed" and "The Curtain".